From Pete Evans paleo family food cookbook, had to try the cauliflower fried rice, used the thermomix to blitz half a cauliflower head 5 seconds speed 5 in reverse. Perfect minced cauliflower, ready to pan fry in coconut oil for a few minutes. 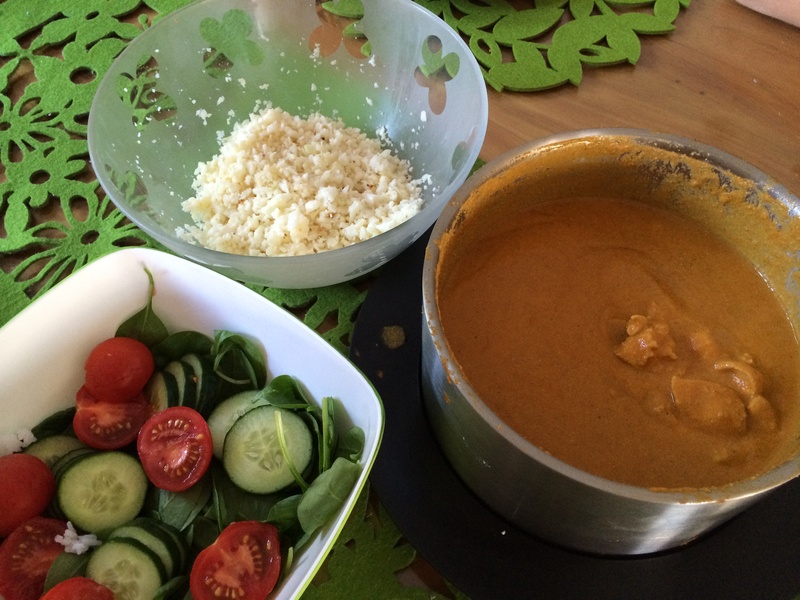 Butter chicken made again in thermomix. I used 1.2kg of chicken thighs instead of 750g because there is always plenty of sauce and then just increased cooking time by 10 minutes. Served with a simple salad and rice just in case kids decided to be fussy. Love the cauliflower rice! 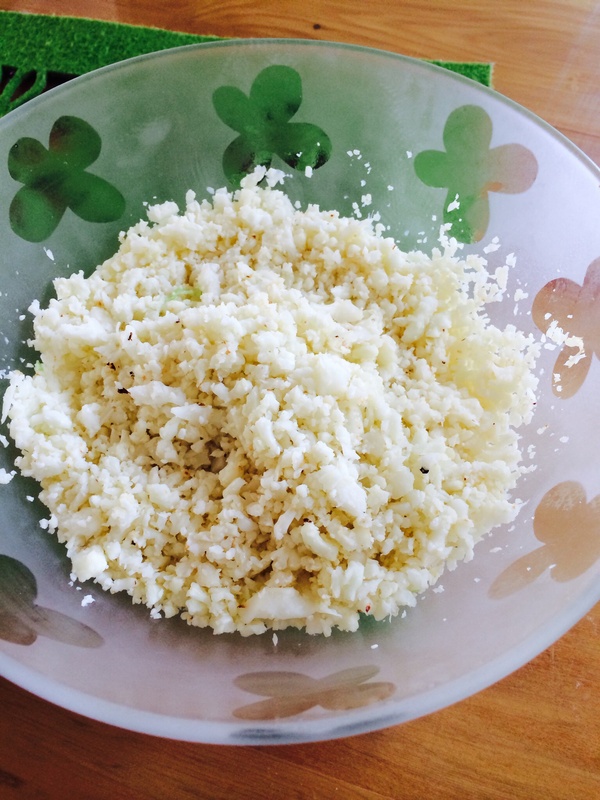 There are some recipes on the community website for cauliflower rice done entirely in the thermomix too. But I’m happy with a few minutes stir frying while the butter chicken cooks itself.